©2019 Mercedes-Benz Canada Inc. 2018 Mercedes-AMG GT C shown above for illustration purposes only. 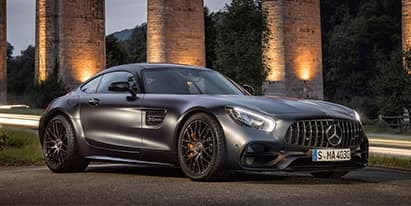 *Total price for the 2018 Mercedes-AMG GT C Roadster with 54 kms, stock number: 199440 includes MSRP of $180,150, freight & PDI ($2,395), $31,000 cash credit, DOC fee ($495), environmental levy ($100), tire levy ($25), and finance administration fee ($495), taxes extra. Receive $31,000 on the 2018 Mercedes-AMG GT C Roadster with 54 kms, stock number: 199440 model only. Vehicle licence, insurance, registration, and taxes are extra. Models are valid for finance and cash offers and is a combination of an offer from Mercedes-Benz Canada and Mercedes-Benz Nanaimo. Offers may change without notice and cannot be combined with any other offers. Offer ends April 30th, 2019. Please see Mercedes-Benz Nanaimo for complete details. DL 9808 #30818. ©2019 Mercedes-Benz Canada Inc. 2018 smart fortwo shown above for illustration purposes only. *Total price for the 2018 smart fortwo with 20 kms, stock number: 342070 includes MSRP of $33,570, freight & PDI ($2,395), $1,000 cash credit, $5,000 BC rebate, DOC fee ($495), environmental levy ($100), tire levy ($25), and finance administration fee ($495), taxes extra. 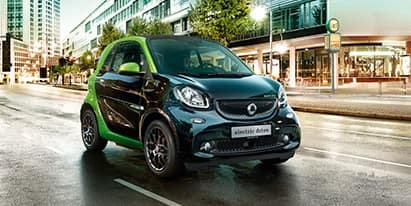 Receive $1,000 on the 2018smart fortwo with 20 kms, stock number: 342070 model only. †$5,000 bonus available any new 2018 smart electric drive and can be applied towards lease, finance or cash purchases. Vehicle licence, insurance, registration, and taxes are extra. Models are valid for finance and cash offers and is a combination of an offer from Mercedes-Benz Canada and Mercedes-Benz Nanaimo. Offers may change without notice and cannot be combined with any other offers. Offer ends April 30th, 2019. Please see Mercedes-Benz Nanaimo for complete details. DL 9808 #30818. ©2019 Mercedes-Benz Canada Inc. 2018 Mercedes-Benz C-Class Sedan shown above for illustration purposes only. *Total price for the 2018 Mercedes-Benz C 300 4MATIC Sedan with 20 kms, stock number: 175940 includes MSRP of $52,590, freight & PDI ($2,395), $7,000 cash credit, DOC fee ($495), environmental levy ($100), tire levy ($25), and finance administration fee ($495), taxes extra. Receive $7,000 on the 2018 Mercedes-Benz C 300 4MATIC Sedan with 20 kms, stock number: 175940 model only. Vehicle licence, insurance, registration, and taxes are extra. Models are valid for finance and cash offers and is a combination of an offer from Mercedes-Benz Canada and Mercedes-Benz Nanaimo. Offers may change without notice and cannot be combined with any other offers. Offer ends April 30th, 2019. Please see Mercedes-Benz Nanaimo for complete details. DL 9808 #30818. ©2019 Mercedes-Benz Canada Inc. 2018 Mercedes-Benz GLA SUV shown above for illustration purposes only. 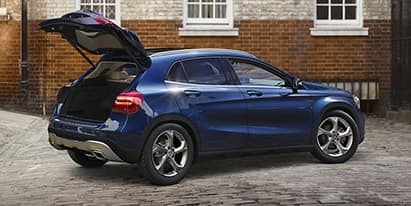 *Total price for the 2018 Mercedes-Benz GLA 250 4MATIC SUV with 58 kms, stock number: 241230 includes MSRP of $45,680, freight & PDI ($2,395), $4,500 cash credit, DOC fee ($495), environmental levy ($100), tire levy ($25), and finance administration fee ($495), taxes extra. Receive $4,500 on the 2018 Mercedes-Benz GLA 250 4MATIC SUV with 58 kms, stock number: 241230 model only. Vehicle licence, insurance, registration, and taxes are extra. Models are valid for finance and cash offers and is a combination of an offer from Mercedes-Benz Canada and Mercedes-Benz Nanaimo. Offers may change without notice and cannot be combined with any other offers. Offer ends April 30th, 2019. Please see Mercedes-Benz Nanaimo for complete details. DL 9808 #30818. ©2019 Mercedes-Benz Canada Inc. 2018 Mercedes-Benz C-Class Sedan shown above for illustration purposes only. 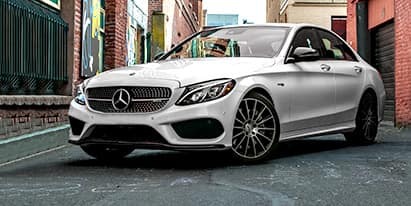 *Total price for the 2018 Mercedes-Benz C 300 4MATIC Sedan with 20 kms, stock number: 125070 includes MSRP of $53,300, freight & PDI ($2,395), $7,000 cash credit, DOC fee ($495), environmental levy ($100), tire levy ($25), and finance administration fee ($495), taxes extra. Receive $7,000 on the 2018 Mercedes-Benz C 300 4MATIC Sedan with 20 kms, stock number: 125070 model only. Vehicle licence, insurance, registration, and taxes are extra. Models are valid for finance and cash offers and is a combination of an offer from Mercedes-Benz Canada and Mercedes-Benz Nanaimo. Offers may change without notice and cannot be combined with any other offers. Offer ends April 30th, 2019. Please see Mercedes-Benz Nanaimo for complete details. DL 9808 #30818. ©2019 Mercedes-Benz Canada Inc. 2018 Mercedes-Benz Metris Passenger Van shown above for illustration purposes only. 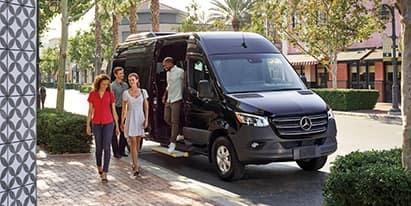 *Total price for the 2018 Mercedes-Benz Metris Passenger Van with 20 kms, stock number: 552080 includes MSRP of $51,550, freight & PDI ($2,395), $5,500 cash credit, DOC fee ($495), environmental levy ($100), tire levy ($25), and finance administration fee ($495), taxes extra. Receive $5,500 on the 2018 Mercedes-Benz Metris Passenger Van with 20 kms, stock number: 552080 model only. Vehicle licence, insurance, registration, and taxes are extra. Models are valid for finance and cash offers and is a combination of an offer from Mercedes-Benz Canada and Mercedes-Benz Nanaimo. Offers may change without notice and cannot be combined with any other offers. Offer ends April 30th, 2019. Please see Mercedes-Benz Nanaimo for complete details. DL 9808 #30818. ©2019 Mercedes-Benz Canada Inc. 2018 Mercedes-Benz GLA 250 4MATIC SUV shown above for illustration purposes only. 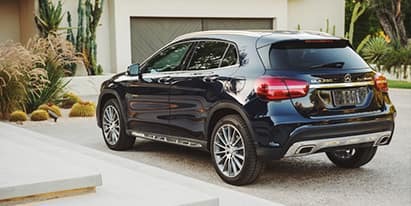 *Total price for the 2018 Mercedes-Benz GLA 250 4MATIC SUV with 20 kms, stock number: 293220 includes MSRP of $47,545, freight & PDI ($2,395), $6,000 cash credit, DOC fee ($495), environmental levy ($100), tire levy ($25), and finance administration fee ($495), taxes extra. Receive $6,000 on the 2018 Mercedes-Benz GLA 250 4MATIC SUV with 20 kms, stock number: 293220 model only. Vehicle licence, insurance, registration, and taxes are extra. Models are valid for finance and cash offers and is a combination of an offer from Mercedes-Benz Canada and Mercedes-Benz Nanaimo. Offers may change without notice and cannot be combined with any other offers. Offer ends April 30th, 2019. Please see Mercedes-Benz Nanaimo for complete details. DL 9808 #30818. ©2019 Mercedes-Benz Canada Inc. 2018 Mercedes-Benz Metris Cargo Van shown above for illustration purposes only. 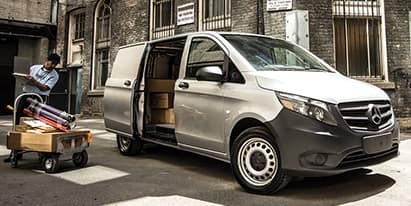 *Total price for the 2018 Mercedes-Benz Metris Cargo Van with 20 kms, stock number: 587370 includes MSRP of $36,680, freight & PDI ($2,395), $5,500 cash credit, DOC fee ($495), environmental levy ($100), tire levy ($25), and finance administration fee ($495), taxes extra. Receive $5,500 on the 2018 Mercedes-Benz Metris Cargo Van with 20 kms, stock number: 587370 model only. Vehicle licence, insurance, registration, and taxes are extra. Models are valid for finance and cash offers and is a combination of an offer from Mercedes-Benz Canada and Mercedes-Benz Nanaimo. Offers may change without notice and cannot be combined with any other offers. Offer ends April 30th, 2019. Please see Mercedes-Benz Nanaimo for complete details. DL 9808 #30818. ©2019 Mercedes-Benz Canada Inc. 2018 Mercedes-Benz Metris Cargo Van shown above for illustration purposes only. 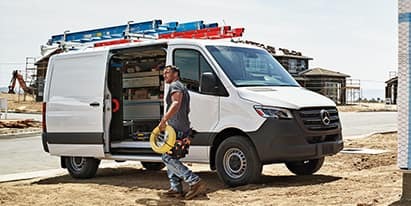 *Total price for the 2018 Mercedes-Benz Metris Cargo Van with 20 kms, stock number: 589830 includes MSRP of $36,680, freight & PDI ($2,395), $4,500 cash credit, DOC fee ($495), environmental levy ($100), tire levy ($25), and finance administration fee ($495), taxes extra. Receive $4,500 on the 2018 Mercedes-Benz Metris Cargo Van with 20 kms, stock number: 589830 model only. Vehicle licence, insurance, registration, and taxes are extra. Models are valid for finance and cash offers and is a combination of an offer from Mercedes-Benz Canada and Mercedes-Benz Nanaimo. Offers may change without notice and cannot be combined with any other offers. Offer ends April 30th, 2019. Please see Mercedes-Benz Nanaimo for complete details. DL 9808 #30818. ©2019 Mercedes-Benz Canada Inc. 2018 Mercedes-Benz C-Class Sedan shown above for illustration purposes only. *Total price for the 2018 Mercedes-Benz C 300 4MATIC Sedan with 20 kms, stock number: 121060 includes MSRP of $532,490, freight & PDI ($2,395), $7,000 cash credit, DOC fee ($495), environmental levy ($100), tire levy ($25), and finance administration fee ($495), taxes extra. Receive $7,000 on the 2018 Mercedes-Benz C 300 4MATIC Sedan with 20 kms, stock number: 121060 model only. Vehicle licence, insurance, registration, and taxes are extra. Models are valid for finance and cash offers and is a combination of an offer from Mercedes-Benz Canada and Mercedes-Benz Nanaimo. Offers may change without notice and cannot be combined with any other offers. Offer ends April 30th, 2019. Please see Mercedes-Benz Nanaimo for complete details. DL 9808 #30818. ©2019 Mercedes-Benz Canada Inc. 2018 Mercedes-Benz E-Class Sedan shown above for illustration purposes only. 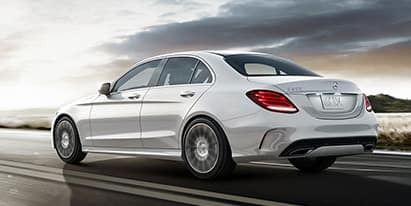 *Total price for the 2018 Mercedes-Benz E 300 4MATIC Sedan with 20 kms, stock number: 150150 includes MSRP of $72,400, freight & PDI ($2,395), $11,000 cash credit, DOC fee ($495), environmental levy ($100), tire levy ($25), and finance administration fee ($495), taxes extra. 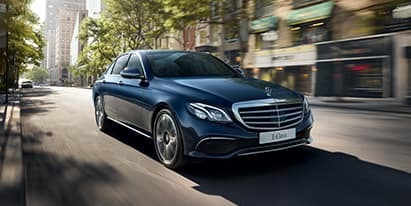 Receive $11,000 on the 2018 Mercedes-Benz E 300 4MATIC Sedan with 20 kms, stock number: 150150 model only. Vehicle licence, insurance, registration, and taxes are extra. Models are valid for finance and cash offers and is a combination of an offer from Mercedes-Benz Canada and Mercedes-Benz Nanaimo. Offers may change without notice and cannot be combined with any other offers. Offer ends April 30th, 2019. Please see Mercedes-Benz Nanaimo for complete details. DL 9808 #30818. ©2019 Mercedes-Benz Canada Inc. 2018 Mercedes-Benz E-Class Sedan shown above for illustration purposes only. 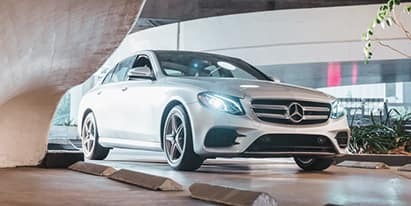 *Total price for the 2018 Mercedes-Benz E 300 4MATIC Sedan with 20 kms, stock number: 134950 includes MSRP of $72,400, freight & PDI ($2,395), $11,000 cash credit, DOC fee ($495), environmental levy ($100), tire levy ($25), and finance administration fee ($495), taxes extra. Receive $11,000 on the 2018 Mercedes-Benz E 300 4MATIC Sedan with 20 kms, stock number: 134950 model only. Vehicle licence, insurance, registration, and taxes are extra. Models are valid for finance and cash offers and is a combination of an offer from Mercedes-Benz Canada and Mercedes-Benz Nanaimo. Offers may change without notice and cannot be combined with any other offers. Offer ends April 30th, 2019. Please see Mercedes-Benz Nanaimo for complete details. DL 9808 #30818. ©2019 Mercedes-Benz Canada Inc. 2018 Mercedes-Benz C-Class Sedan shown above for illustration purposes only. *Total price for the 2018 Mercedes-Benz C 300 4MATIC Sedan with 20 kms, stock number: 121220 includes MSRP of $49,400, freight & PDI ($2,395), $6,000 cash credit, DOC fee ($495), environmental levy ($100), tire levy ($25), and finance administration fee ($495), taxes extra. Receive $6,000 on the 2018 Mercedes-Benz C 300 4MATIC Sedan with 20 kms, stock number: 121220 model only. Vehicle licence, insurance, registration, and taxes are extra. Models are valid for finance and cash offers and is a combination of an offer from Mercedes-Benz Canada and Mercedes-Benz Nanaimo. Offers may change without notice and cannot be combined with any other offers. Offer ends April 30th, 2019. Please see Mercedes-Benz Nanaimo for complete details. DL 9808 #30818. ©2019 Mercedes-Benz Canada Inc. 2018 Mercedes-Benz C-Class Coupe shown above for illustration purposes only. 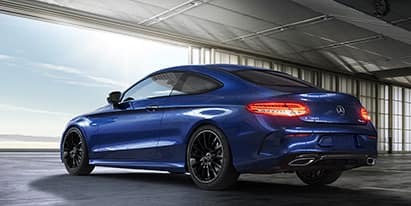 *Total price for the 2018 Mercedes-Benz C 300 4MATIC Coupe with 61 kms, stock number: 175960 includes MSRP of $53,400 freight & PDI ($2,395), $7,000 cash credit, DOC fee ($495), environmental levy ($100), tire levy ($25), and finance administration fee ($495), taxes extra. Receive $7,000 on the 2018 Mercedes-Benz C 300 4MATIC Coupe with 61 kms, stock number: 175960 model only. Vehicle licence, insurance, registration, and taxes are extra. Models are valid for finance and cash offers and is a combination of an offer from Mercedes-Benz Canada and Mercedes-Benz Nanaimo. Offers may change without notice and cannot be combined with any other offers. Offer ends April 30th, 2019. 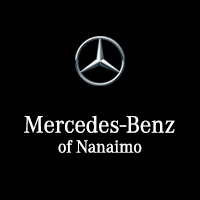 Please see Mercedes-Benz Nanaimo for complete details. DL 9808 #30818.